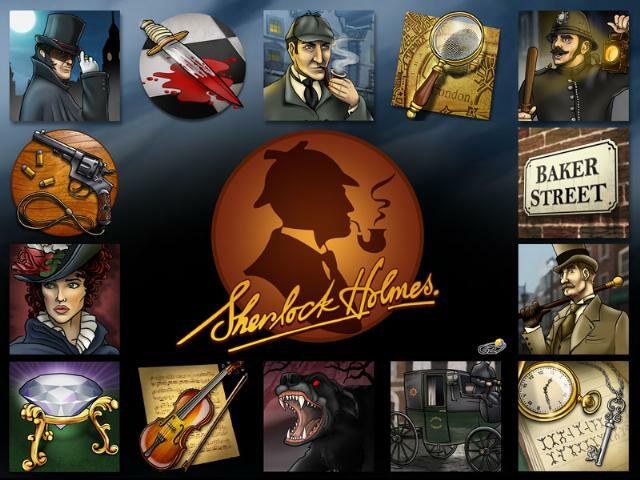 New from Aristocrat, the Sherlock Holmes slot has an english appeal to it. So, if you are an anglophile (is that a word? ), the you should check out Sherlock. The game is a basic 5 reel slot machine with bonus feature rounds, but has a decent amount of innovative new features to keep players interested for the long term. The bonus features are plenty and varied in nature, with lots of 3D graphics that you would normally associate with am modern video gaming console or PC gaming experience. Many of the bonuses found during the game are, as you would expect, based on solving mysteries. This creates a good atmosphere, especially with the English accent used throughout giving it hat sense of british style you would want in type of game. Watson also features in the sherlock holmes slot and during the bonus games too, although I didn't manage to hit a win with him in, so can't tell you what happens when you see him. Overall, this is a good addition to the new Aristocrat gaming line up. Although nothing spectacular, it will certainly have appeal with a niche crowd of fans of the great man from Baker Street, London.